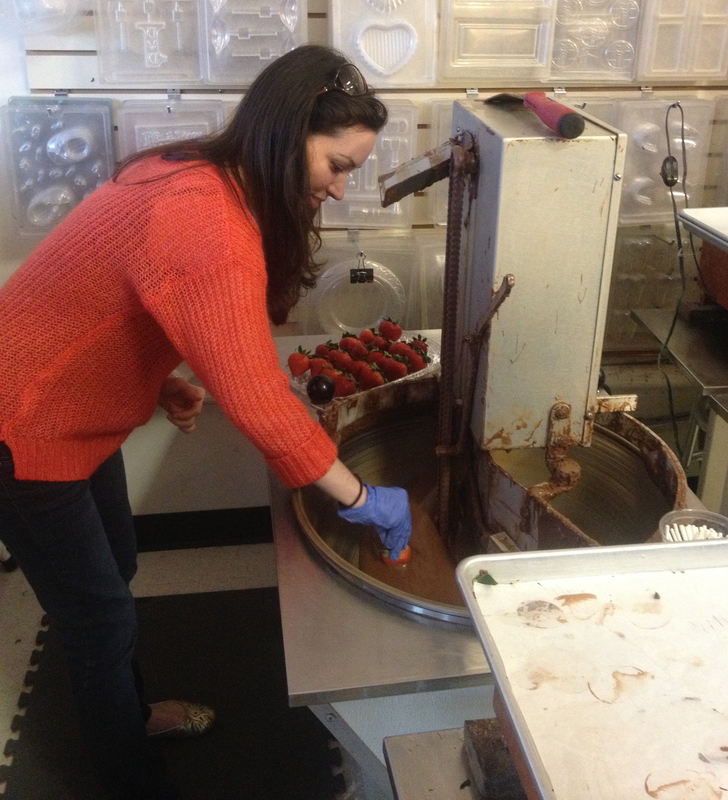 For week 19 of my 52-week project, Leigh and I went on a tour of a chocolate factory. 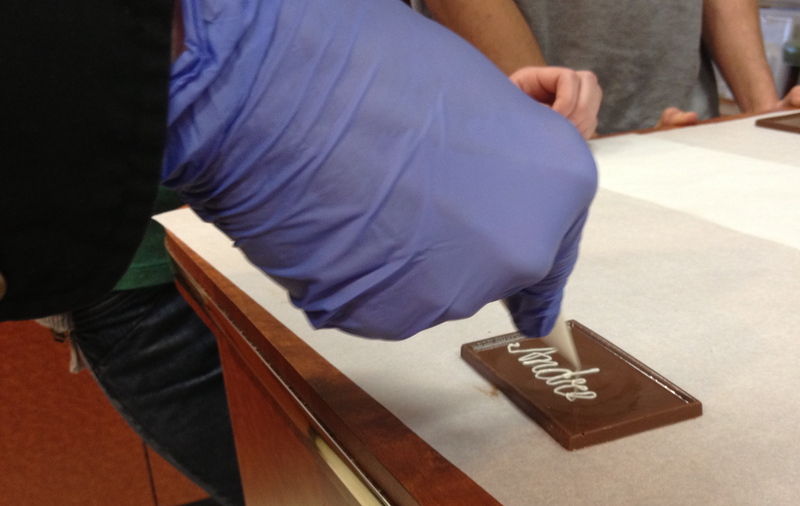 We visited Schakolad, a chocolate shop that makes its own sweets fresh on the premises. 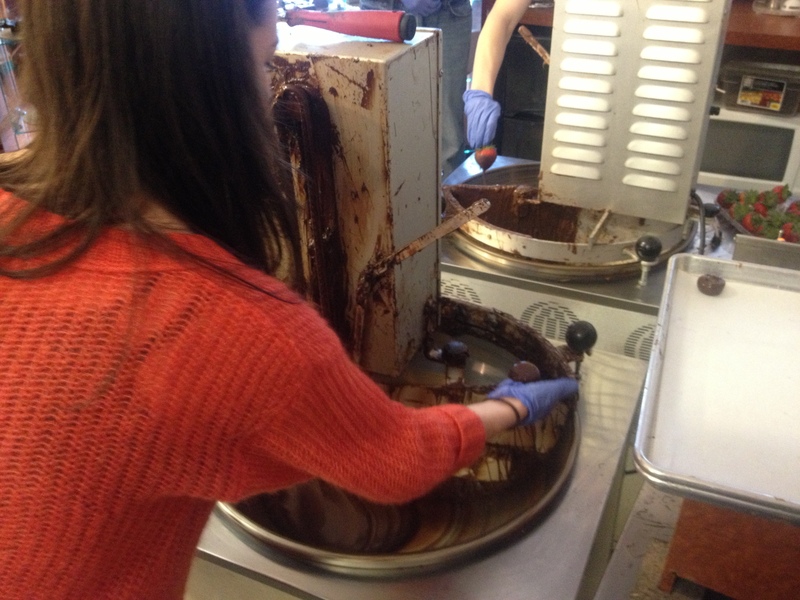 The tour included a brief lesson on the history of chocolate, lots of sampling, and making our own goodies. First, we made “chocolate business cards.” This is one of the owners making his, which looked a lot better than mine. I think I spent more time eating the white chocolate out of the tube than actually writing my name. Next, we learned how to make chocolate lollypops. We made them by scooping chocolate out of the vat and filling smiley face molds and adding sticks. 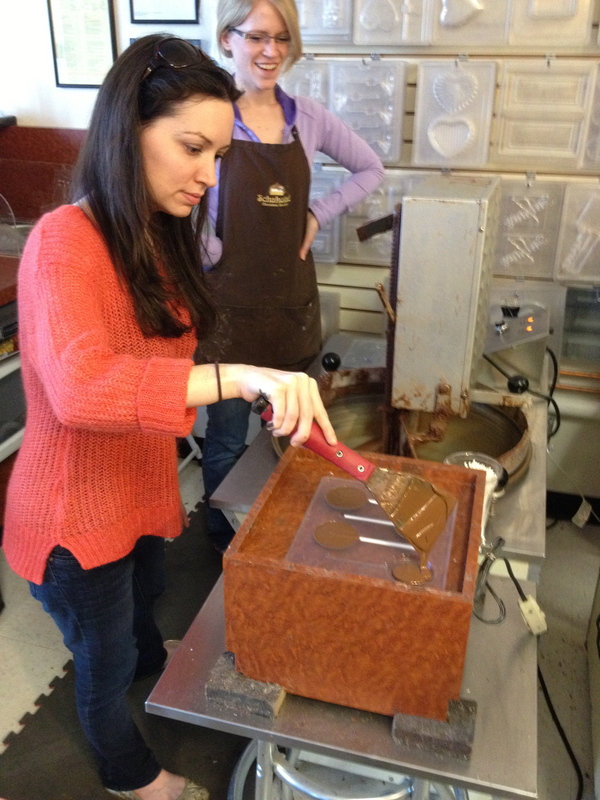 The molds sat on a box that vibrated to shake out any bubbles in the chocolate. We then moved on to dipping strawberries. It was pretty simple to do, just dip the berries in the swirling vat of chocolate and spin the berry until it was completely coated. Finally, we made dark chocolate covered marshmallows. These were my favorite. So delicious. We made them by dipping our fingers in chocolate, picking up a marshmallow, covering it in chocolate, and and setting it out to harden. I wish I had pictures of the final product of everything. But, to be honest with you, the treats didn’t last very long after I got them home. I have a bit of a sweet tooth. 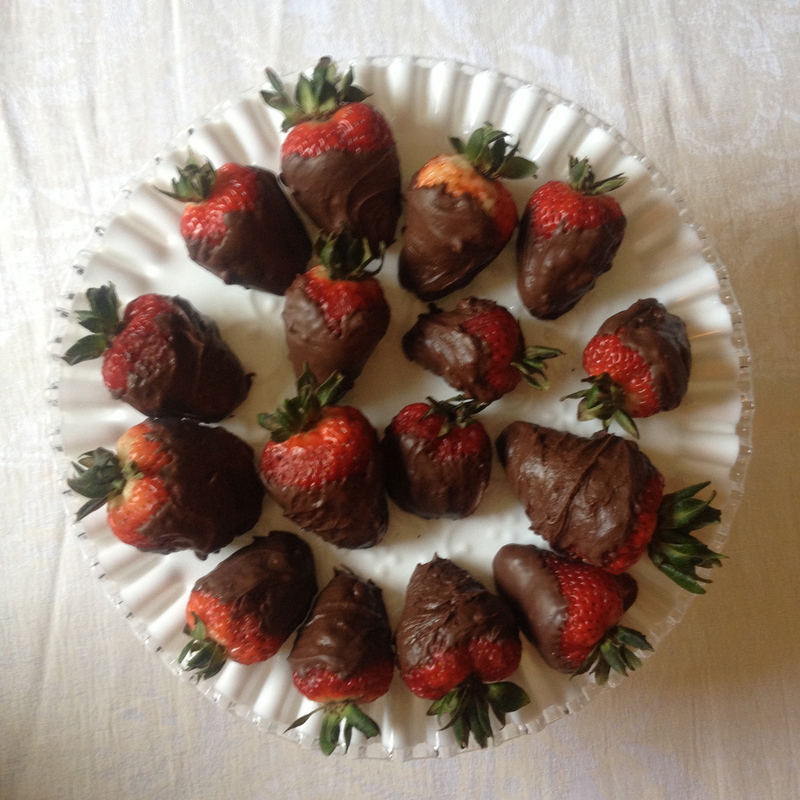 I used my newly acquired skills later in the week to dip strawberries for Leigh’s going away party. They weren’t as pretty as the ones at Schakolad, but they were mighty tasty. As I mentioned above, I attended Leigh’s going away party this week. She is moving back to Germany so this will be the last time we will have an adventure together for a while. However, I am sure we still have many adventures to come. 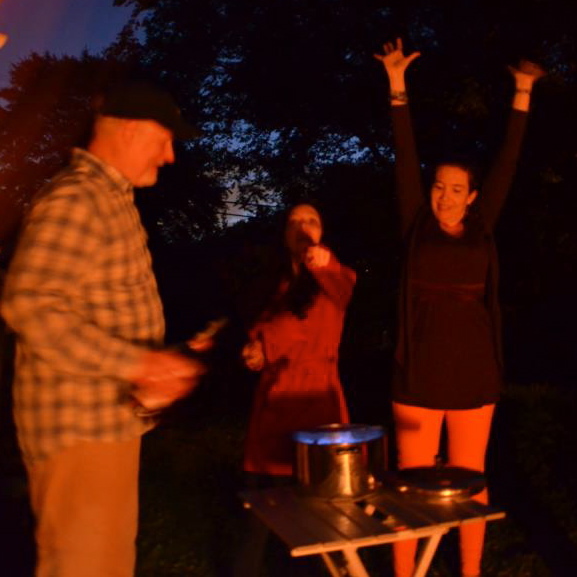 For her party she decided to prepare Feuerzangenbowle, a German fire drink traditionally served at Christmas and New Years. Feuerzangenbowle is made with mulled wine, fruit, cinnamon, cloves, rum, and a sugarloaf. 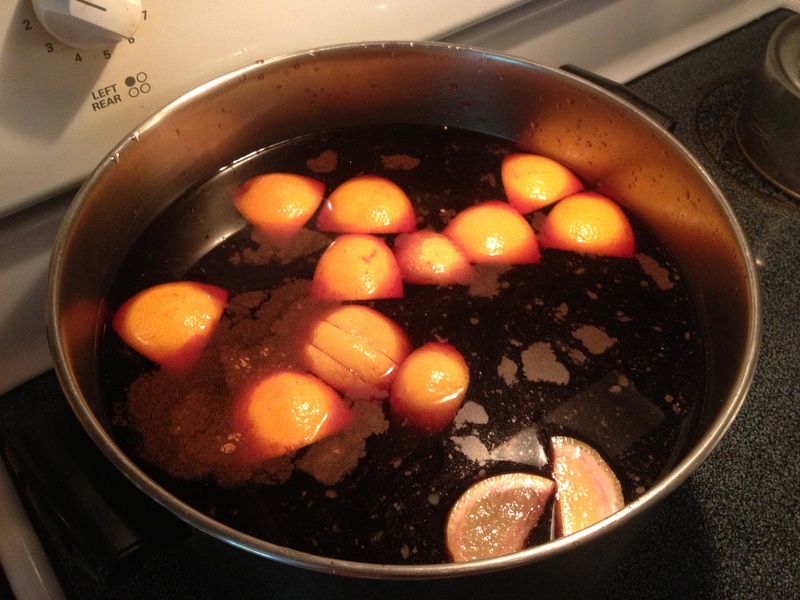 After dumping 5 liters of Franzia into the pot, Leigh added oranges, lemons, and cinnamon, and let it simmer on the stove for a few hours. It smelled amazing, exactly what you would expect Christmas to smell like. Finally, it was time for the show! 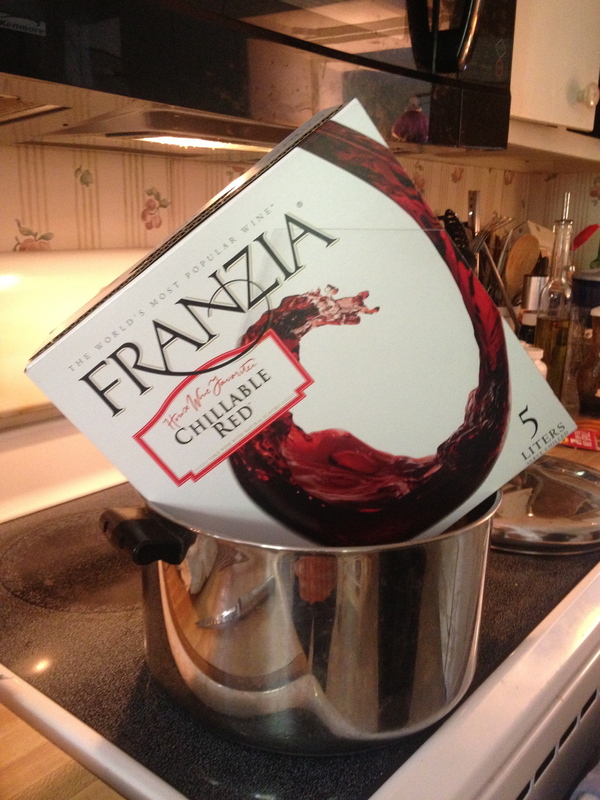 A cone-shaped sugarloaf is placed in a tray above the wine. The sugar is then set on fire, either by soaking it in rum and then lighting it, or by lighting the rum and slowly spooning it onto the sugar until it is completely melted. According to the instructions, you need to use 54% percent alcohol in order for it to burn properly. Leigh said she once used Bacardi 151 and that the resulting flame was terrifying. This is Leigh’s uncle Dave and me spooning rum over the sugar. 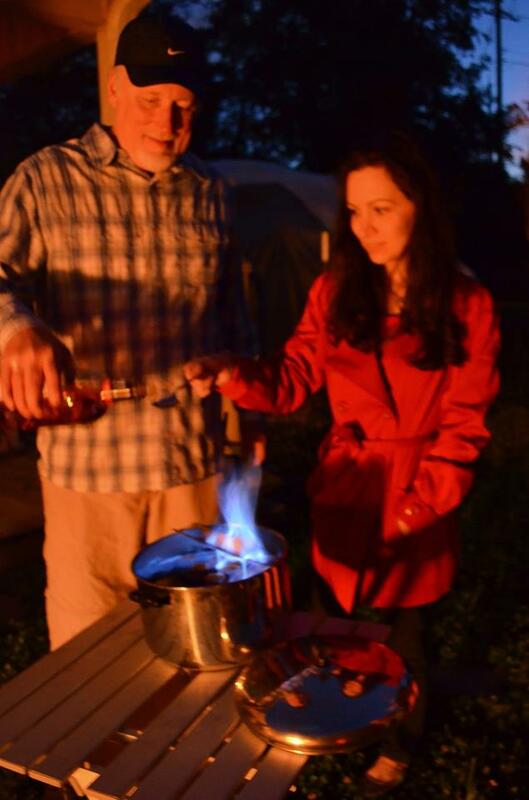 A few times the flames got pretty high and engulfed my hand or caught the spoon on fire. No injuries though! I don’t remember what was happening here, but I think Leigh and I were excited to be done and that nobody caught on fire. The Feuerzangenbowle was hot, delicious, and tasted a bit like cider. It was the perfect drink to warm us up as we sat around the fire telling stories and singing Rocky Top. Thank you to Amy Williams for letting me use her Feuerzangen-photos. Check out her Freewill Photography Facebook page! Apropos of nothing, here is a video of Leigh and her uncle Dave singing about Constitutional Law. 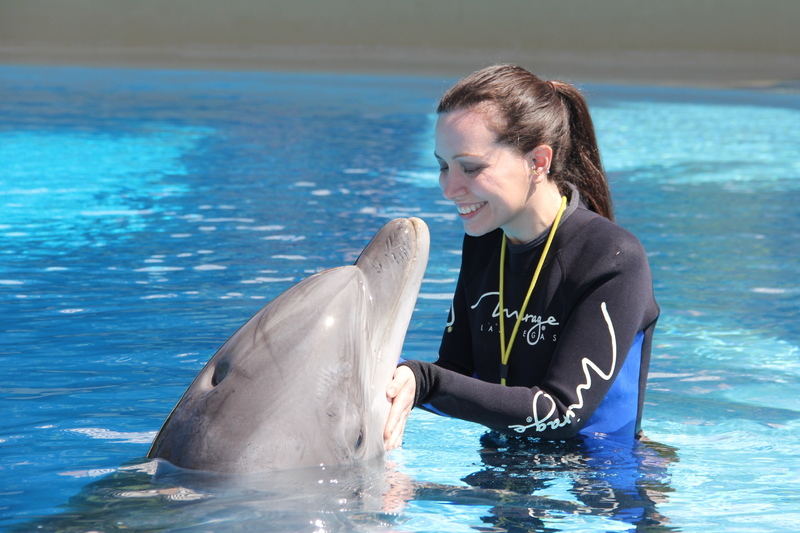 I’m going to miss her. Ooooh – totally going to try the Feuerzangenbowle – that sounds awesome. 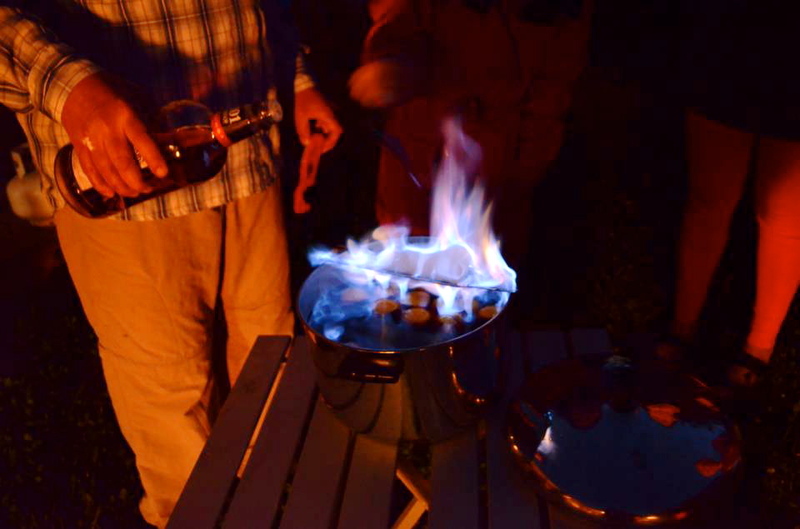 We used to make mulled wine for christmas – but to light it on fire – now that’s pure class! It was really delicious, though I would suggest going with a wine with a little sweetness to it.